A recent experiment on Argon atoms by Jeri Tomkovic and five collaborators at the University of Heidelberg has demonstrated once again the subtle and astonishing reality of the quantum world. Erwin Schrödinger, who devised the Schrödinger equation that governs quantum behavior, also demonstrated the preposterousness of his own equation by showing that under certain special conditions quantum theory seemed to allow a cat (Schrödinger's Cat) to be alive and dead at the same time. Humans can't yet do this to cats, but clever physicists are discovering how to put larger and larger systems into a "quantum superposition" in which a single entity can comfortably dwell in two distinct (and seemingly contradictory) states of existence. The Heidelberg experiment with Argon atoms (explained popularly here, in the physics arXiv here and published in Nature here) dramatically demonstrates two important features of quantum reality: 1) if it is experimentally impossible to tell whether a process went one way or the other, then, in reality, IT WENT BOTH WAYS AT ONCE (like a Schrödinger Cat); 2) quantum systems behave like waves when not looked at--and like particles when you look. The Heidelberg physicists looked at laser-excited Argon atoms which shed their excitation by emitting a single photon of light. The photon goes off in a random direction and the Argon atom recoils in the opposite direction. Ordinary physics so far. But Tomkovic and pals modified this experiment by placing a gold mirror behind the excited Argon atom. Now (if the mirror is close enough to the atom) it is impossible for anyone to tell whether the emitted photon was emitted directly or bounced off the mirror. According to the rules of quantum mechanics then, the Argon atom must be imagined to recoil IN BOTH DIRECTIONS AT ONCE--both towards and away from the mirror. But this paradoxical situation is present only if we don't look. Like Schrödinger's Cat, who will be either alive or dead (if we look) but not both, the bilocal Argon atom (if we look) will always be found to be recoiling in only one direction--towards the mirror (M) or away from the mirror (A) but never both at the same time. To measure both recoil states at once, the Heidelberg guys set up a laser standing wave by shining a laser directly into a mirror and scattered the bilocal Argon atom off the peaks and troughs of this optical standing wave. Just as a wave of light is diffracted off the regular peaks and troughs of a matter-made CD disk, so a wave of matter (Argon atoms) can be diffracted from a regular pattern of light (a laser shining into a mirror). When an Argon atom encounters the regular lattice of laser light, it is split (because of its wave nature) into a transmitted (T) and a diffracted (D) wave. The intensity of the laser is adjusted so that the relative proportion of these two waves is approximately 50/50. In its encounter with the laser lattice, each state (M and A) of the bilocated Argon atom is split into two parts (T and D), so now THE SAME ARGON ATOM is traveling in four directions at once (MT, MD, AT, AD). Furthermore (as long as we don't look) these four distinct parts act like waves. This means they can constructively and destructively interfere depending on their "phase difference". The two waves MT and AD are mixed and the result sent to particle detector #1. The two waves AT and MD are mixed and sent to particle detector #2. For each atom only one count is recorded--one particle in, one particle out. But the PATTERN OF PARTICLES in each detector will depend on the details of the four-fold experience each wavelet has encountered on its way to a particle detector. This hidden wave-like experience is altered by moving the laser mirror L which shifts the position of the peaks of the optical diffraction grating. In quantum theory, the amplitude of a matter wave is related to the probability that it will trigger a count in a particle detector. Even though the unlooked-at Argon atom is split into four partial waves, the looked-at Argon particle can only trigger one detector. The outcome of the Heidelberg experiment consists of counting the number of atoms detected in counters #1 and #2 as a function of the laser mirror position L.
The results of this experiment show that, while it was unobserved, a single Argon atom was 1) in two places at once because of the mirror's ambiguisation of photon recoil, then 2) four places at once after encountering the laser diffraction grating, 3) then at last, only one place at a time when it is finally observed by either atom counter #1 or atom counter #2. The term "Schrödinger Cat state" has come to mean ANY MACROSCOPIC SYSTEM that can be placed in a quantum superposition. Does an Argon atom qualify as a Schrödinger Cat? Argon is made up of 40 nucleons, each consisting of 3 quarks. Furthermore each Argon atom is surrounded by 18 electrons for a total of 138 elementary particles--each "doing its own thing" while the atom as a whole exists in four separate places at the same time. Now a cat surely has more parts than a single Argon atom, but the Heidelberg experiment demonstrates that, with a little ingenuity, a quite complicated system can be coaxed into quantum superposition. Today's physics students are lucky. When I was learning quantum physics in the 60s, much of the quantum weirdness existed only as mere theoretical formalism. Now in 2011, many of these theoretical possibilities have become solid experimental fact. This marvelous Heidelberg quadralocated Argon atom joins the growing list of barely believable experimental hints from Nature Herself about how She routinely cooks up the bizarre quantum realities that underlie the commonplace facts of ordinary life. 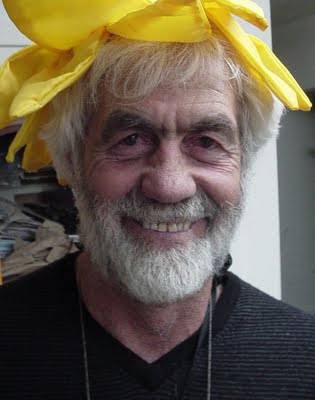 Colorful denizen of the Late BistroScene, founder of the Santa Cruz Emerald Street Poets, moral philosopher and intellectual sparring partner, Irish fiddle player and Santa Cruz good old boy, Phil Wagner shares here a tale from his youth. that burst themselves on the city. on his way to shoot Koreans. page one of the Catechism, "Who is God?" and study page two of the Catechism. to wash away a playground. can kill a giant or re-route a river. I go to school anyway. of what remains of the school grounds. "How much ground was lost?" ". . . one maybe two years of instruction." he tells Sister Gerard, "The devil just got loose." and comes out holding Zimmer by the hand. We turn to page three of the Catechism. The Oldest Tannery in the West (Salz Tannery in Santa Cruz, CA) closed its doors in 2001 and was converted into a space for artists to live, work and perform. The former tannery is located on Highway 9, just inside Santa Cruz's northern limits on the San Lorenzo River. Old-time residents will remember that, during the transformation from leather factory to artist's lofts, the site was enlivened by dozens of plywood cows. 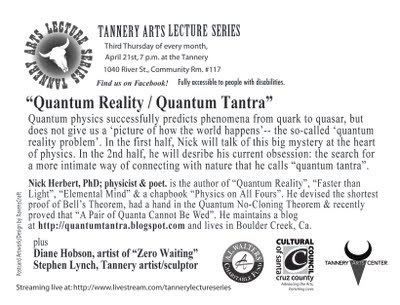 The Tannery Arts Center has been up and running for several years and has now invited local physicist Nick Herbert to appear on April 21 ( Room 117, 7-9 PM ) as part of their Thursday Evening Lecture Series. 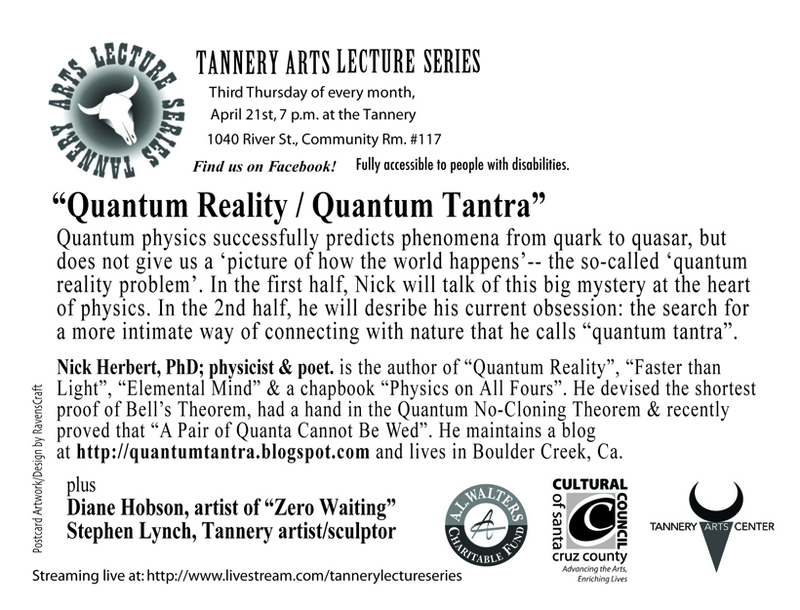 Nick will talk about the deepest unsolved problem in physics, the "quantum reality question"-- the awkward situation that the most powerfully predictive theory humans have ever possessed comes at the price of renouncing a picture of reality. We cannot really say what atoms really look like. Nor can we say "what happens" when we measure an atom. But we can predict (sometimes with an accuracy of 11 decimal places) the results of these not-very-well-understood measurements. Physicists do not fully understand what they are doing when they do quantum mechanics but whatever it is they are doing they do it very successfully. 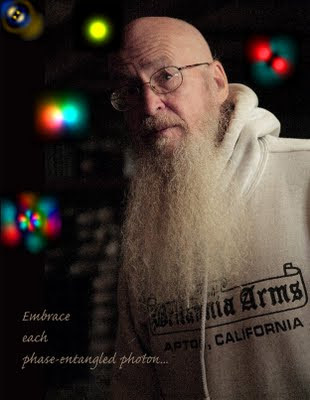 In the second part of his presentation Nick will introduce "quantum tantra" his latest obsession: an attempt to develop a more intimate way of connecting with nature using clues and technologies from quantum physics. The Tannery Arts Center is located near the intersection of Highway 9 and Highway 1 in Santa Cruz (close to Costco). Admission is free. Copies of Nick's Quantum Reality and Physics On All Fours will be available for sale and signing. Works by Stephen Lynch and Diana Hobson will also be on exhibit. In alternate universe K-9, a rogue artificial intelligence was successfully violating the Second Law of Thermodynamics through quantum currency manipulation. As part of his plan to bring this silicon-based outlaw to justice, Ferdinand Feghoot was posing as the manager of a walk-in bank on the planet Jeffbezos. The chief teller of Feghoot's bank was an Earth I female named Patricia Whack, a distant relative of the Whacks who run Whack and Crusher, the demolition company that changed history by unmasking the real scoundrels responsible for the destruction of America's World Trade Center. Just before closing time, a frog walks into Feghoot's bank and approaches Patricia Whack's desk. "Ms Whack," he says," I'd like to get a $30,000 loan to take a holiday." Very confused, Patty explains that she'll have to consult with the bank manager and disappears into the back office. She finds Feghoot behind his desk playing Romulan solitaire and says, "There's a frog called Kermit Jagger out there who claims to know you and wants to borrow $30,000, and he wants to use this as collateral." 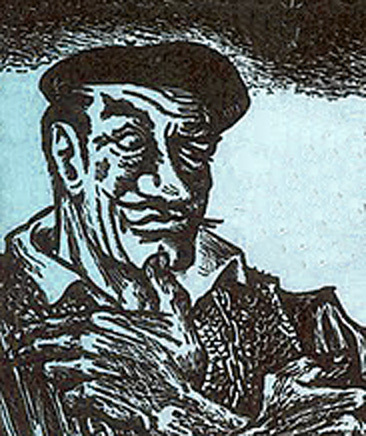 Ferdinand Feghoot looks back at her and says: "It's a knickknack, Patty Whack. Give the frog a loan. His old man's a Rolling Stone." Four Bologna E-Cats: nearest one covered in insulation. A remarkable new source of energy has been demonstrated at the University of Bologna. It appears to be a type of cold fusion in which nuclear reactions are initiated at temperatures of a few hundred degrees. At present the mechanism is unknown but the device produces substantial quantities of power for several hours. 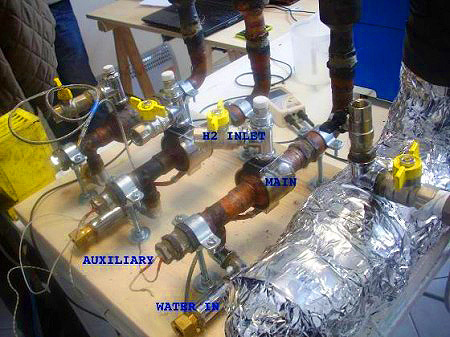 In a preliminary demonstration in January 2011, the inventor Andrea Rossi and his scientific collaborator Professor Sergio Focardi at the University of Bologna showed off a version of their device, called "E-Cat" for "energy catalyzer", which produced 12 kW for a number of hours. The energy emerges from the device in the form of hot steam. The E-Cat's fuel consists of Nickel powder and Hydrogen gas plus a "secret Italian sauce" that is necessary for the reaction to proceed. Rossi apparently discovered this secret catalyst though a long process of trial and error. On March 29, 2011, the Bologna scientists performed a second demonstration of a smaller "more stable" version of the E-Cat (pictured above) that produced 4.4 kW for a period of 6 hours resulting in a total energy output of 24 kWh. Besides the "secret sauce" the reactor was fueled with 50 grams of Nickel and 1.1 grams of Hydrogen. I infer from their report that the reaction was terminated before the fuel was exhausted so we do not as yet know the ultimate capacity of this new Bologna energy source. The second demonstration was witnessed by two members of a Swedish skeptics society who were allowed complete access to the E-Cat at all stages of its operation. The Swedish team could not discover any covert sources of energy and concluded from the facts available that some new form of nuclear reaction was involved. According to physicist Brian Josephson, who has followed the cold fusion effort more closely than I, the Bologna research is self-funded but a Greek company Defkalion Green Technologies has contracted Rossi and Focardi to build a 1 MegaWatt reactor in Athens, Greece, which they hope to achieve by linking together 300 of the 4.4 kW demonstration model E-Cats. Rossi and Focardi are also carrying out experiments to determine the nature of the reaction or reactions that power this device. For a nuclear scientist the most puzzling feature of the Rossi-Focardi E-Cat is that it produces substantially no gamma rays and no radioactive byproducts. A cursory study of possible reaction mechanisms between protons (Hydrogen) and Nickel suggests that both gamma rays and radioactive isotopes of Nickel should be produced. Because these expected products seem to be absent, the answer to the question: "What is the mechanism for the Rossi-Focardi reaction?" will probably turn out to be highly unconventional. Until a plausible (and experimentally verifiable) nuclear mechanism is put forth, scientists are wise to suspend their belief. One obvious experiment that begs to be done is to run a small E-Cat to exhaustion while carrying out isotopic analysis at various stages of the process. I am hoping that Rossi and Focardi will publish soon the results of such an experiment. Nuclear Data Table on the Ni/Cu region. Click to expand. Above is the nuclear data table for the Ni/Cu region of nuclides. Click to expand. First number under the element sign is that element's natural abundance and/or half life. For instance the natural abundance of Ni58 is 68.3% and the half-life of Ni59 is 80,000 years. When a nuclide absorbs a proton it makes a pawn-like move one square upwards in the chart. We can use this table, for instance, to see what happens when the most abundant Nickel isotope absorbs a proton. Ni58 + p --> Cu59. (We see from the table that Cu59 has a half-life of 81.8 sec and decays into Ni59 by emitting a positron and gamma rays.) Since this reaction produces gamma rays, both directly and through the annihilation of the resulting positron, and also produces a radioactive residue of Ni59, this hypothetical reaction cannot be responsible for the E-Cat's energy production. So if it's a nuclear reaction, which reaction is it? Using this table, can you devise a plausible cold-fusion scheme that 1) emits no gamma rays and 2) does not create a radioactive residue of Ni59, Ni63 or Ni65? Whatever the origin of its power, this new Bologna power source is extremely light (10 pounds) and compact, producing 4.4 kW for at least 6 hours (and probably much longer) using 50 grams of Nickel (an American Nickel coin weighs exactly 5 grams) and 1.1 grams of Hydrogen (an amount that would fill a seven-foot balloon). For comparison purposes let's consider the properties of the largest home electric generator sold by Honda--the Honda Eu6500. The Honda Eu6500 (pictured below) weighs 250 pounds and produces 6.5 kW of power (compared to one E-Cat's 4.4 kW). The Honda is fueled by gasoline and will run 5 hours on its 4.7 gallon tank producing about 30 kWh of energy compared to the 25 kWh produced by one E-Cat during its most recent demonstration. Quantitatively the Bologna E-Cat's output is comparable to the Honda generator but there is one important difference. The Honda outputs its energy in the form of electricity while the E-Cat in its present stage of development produces its energy in the form of heat. Congratulations, Rossi and Focardi! May your secret Italian sauce transform the world. On hidden lunar farside craters? NASA's lenses got there later. 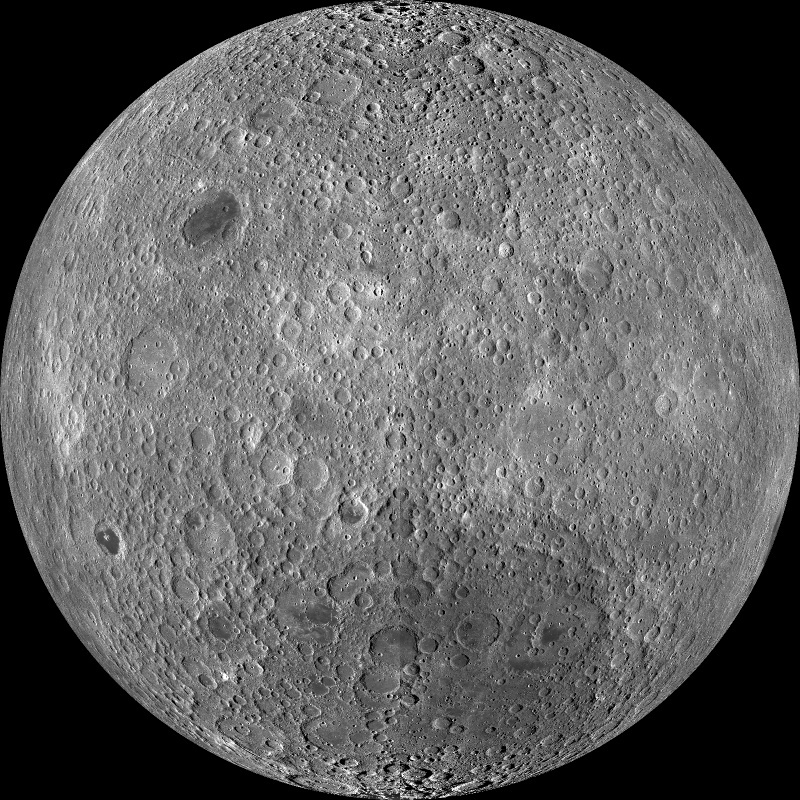 Russians on the moon's backside.